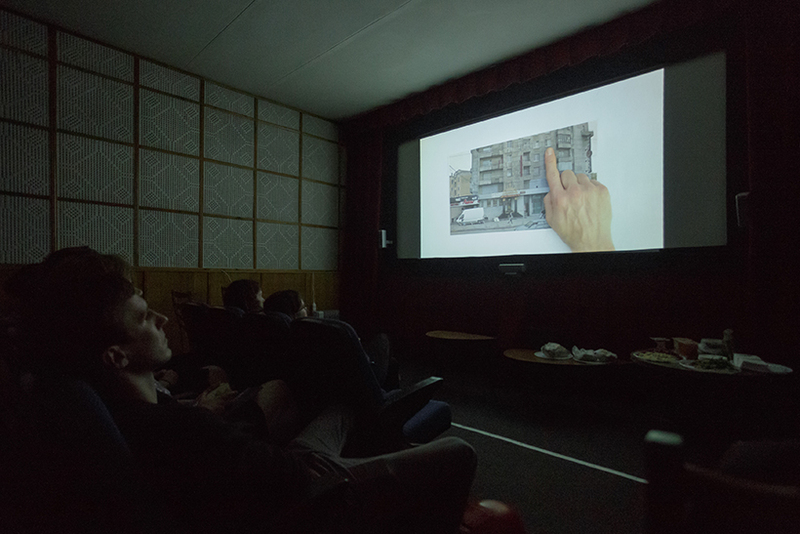 A House of Skin is a video and installation work that charts the complex role mass-produced concrete high-rise apartment buildings have played in defining the landscapes of post-soviet experience both in the diaspora and the country of origin. The work problematizes the grand narratives that have accompanied both the formations and failures of the modernist architectural and social project and introduces ruptures that inscribe vernacular ways of being and telling. The work reexamines these architectures, not as totalizing spaces, but as affective frameworks within which various narratives of violence, struggle, migration, and displacement play out. Drawing together disparate fragments of liveleak and youtube footage from Russia, ‘Little Moscow’ in North York (Canada), segments from Soviet Cinema, contemporary Russian propaganda films and artifacts from Kalmenson’s family archive, the work pieces together a delirious narrative that charts the coexistence of bodies in buildings.